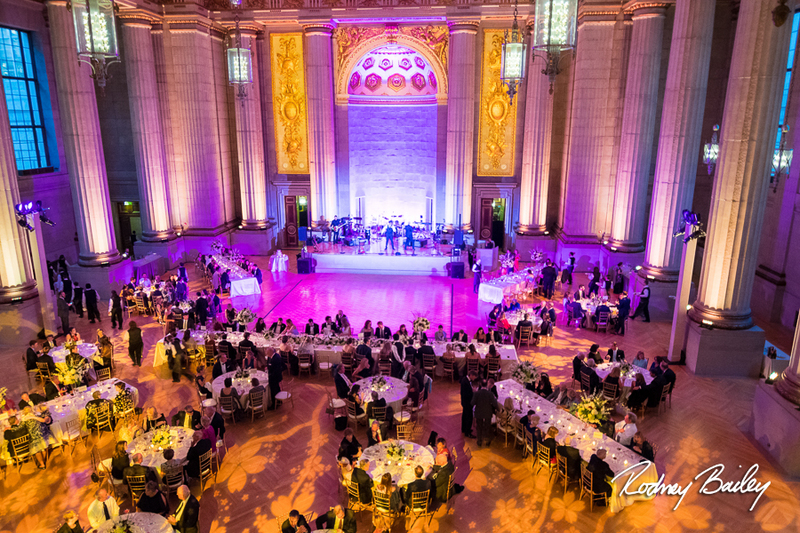 The regal Andrew W Mellon Auditorium stands tall along a prime piece of Constitution Avenue of the most iconic buildings in DC. 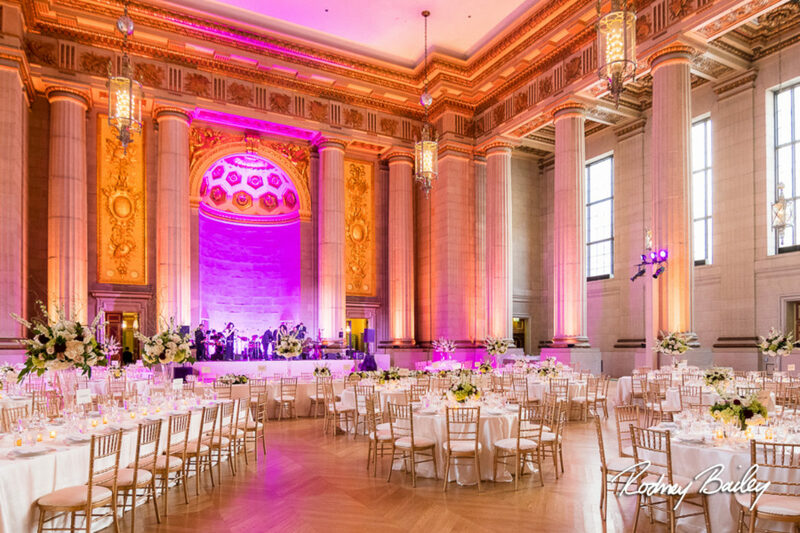 The Mellon Auditorium is one of the crown jewels of the Federal Triangle, so it’s no wonder that it serves as one of the most popular venues for hosting exquisite weddings. 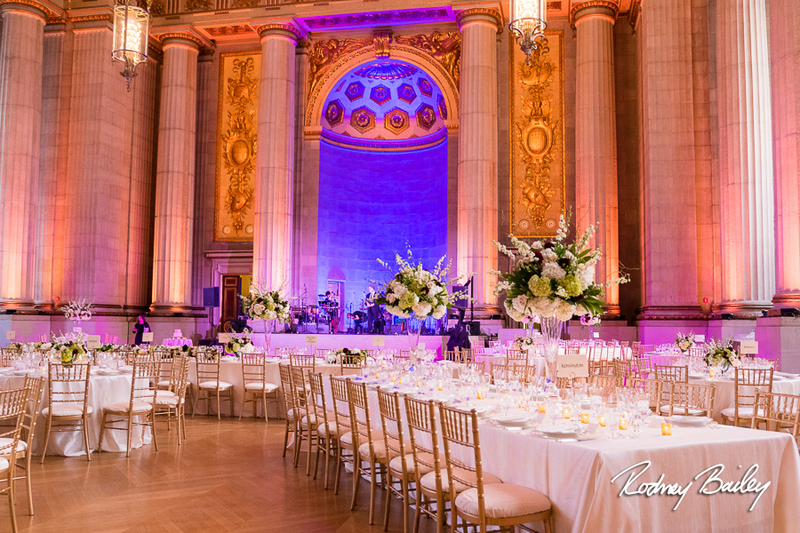 This beautiful Mellon Auditorium wedding features one of our favorite couples and families. 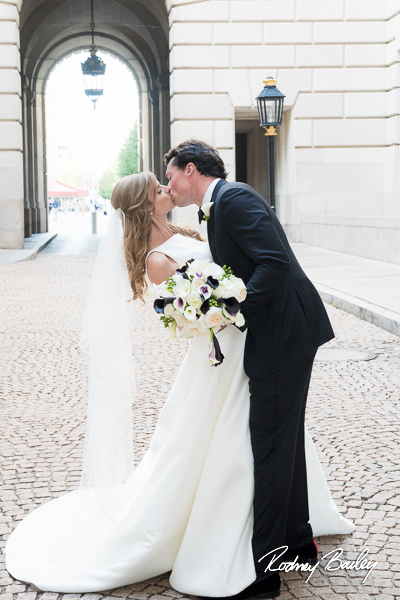 Erin and Alex’s wedding photos were published in last year’s Modern Luxury DC magazine and understandably so. 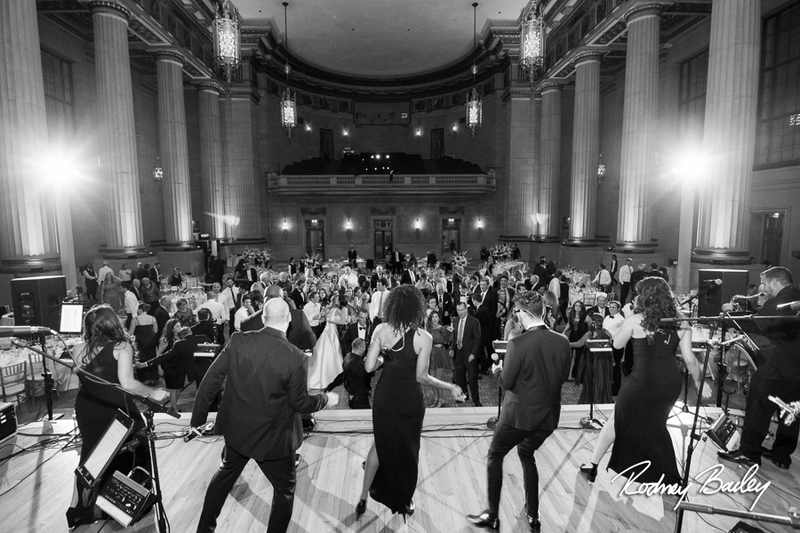 Their wedding was most definitely luxurious and modern! 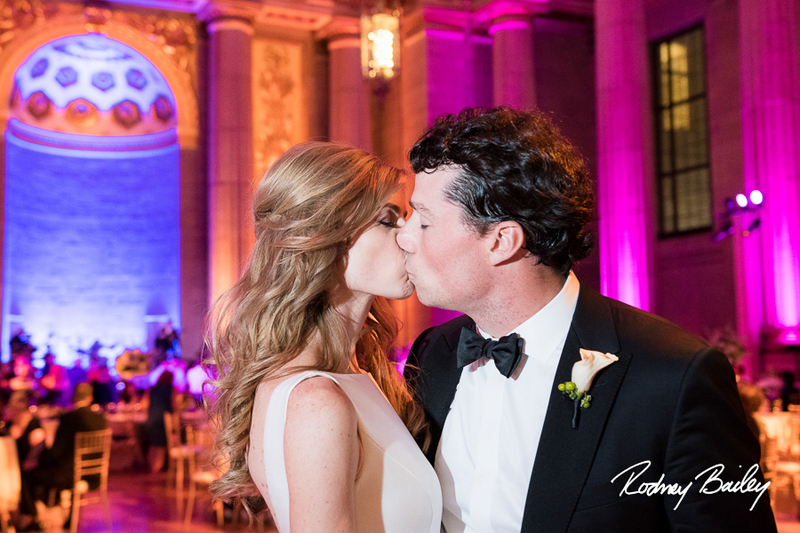 We enjoyed taking their couple’s photos outside the Auditorium as they cherished the moment, reveled in the romance, and shared a blissful wedding day kiss. 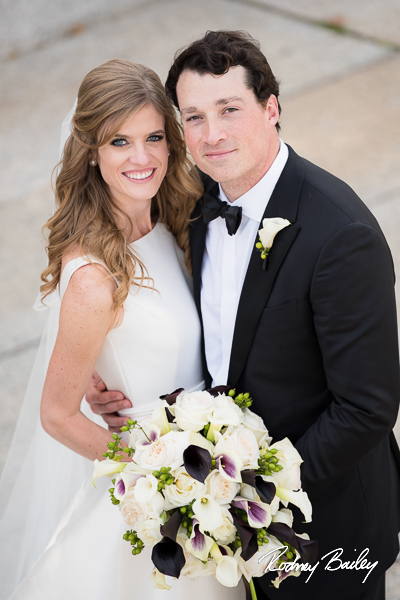 Erin’s modern white dress looked stunning on her, and we loved her matching bridal bouquet filled with calla lilies – including the unique black and Picasso varieties. B Floral did a phenomenal job! 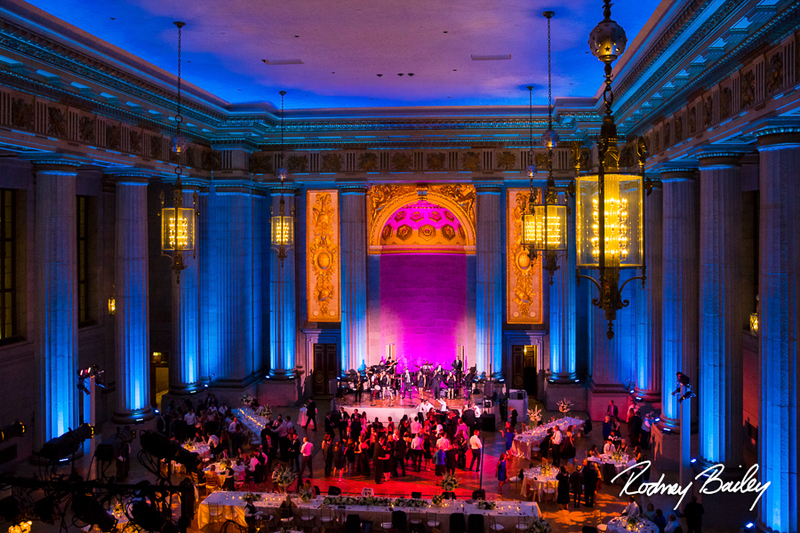 The lighting by Atmosphere Lighting illuminated the grand white columns and added an extra air of elegance. 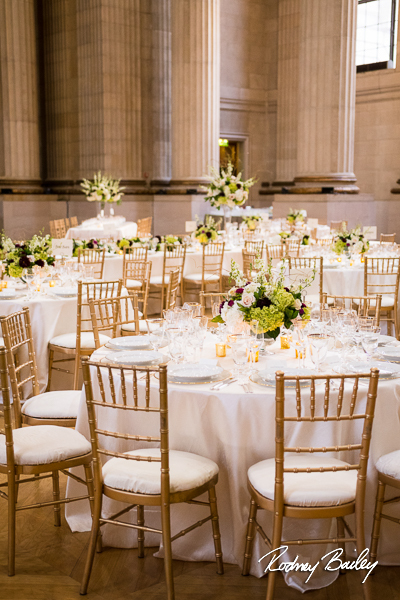 A mix of intimate round tables and long banquet tables filled the auditorium decorated in white linens, gold accents, and classic white flowers. The wedding-white colors added a fresh touch of brightness that matched that cheerfulness of Erin and Alex’s special day. 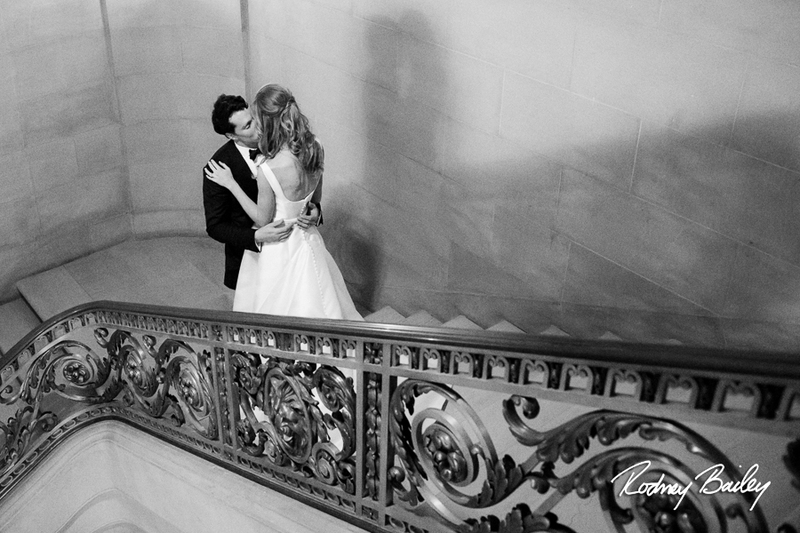 One of our favorite photos – and favorite features of the Mellon – is the bird’s eye image of the newlyweds sharing a moment together as they walk down the elegant staircase. 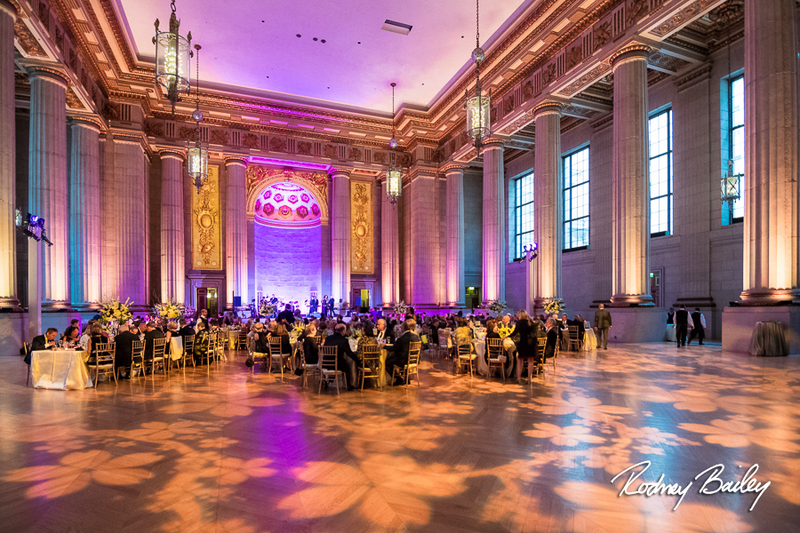 The Mellon Auditorium offers so many great photo opportunities and backdrops both inside and outside the building. 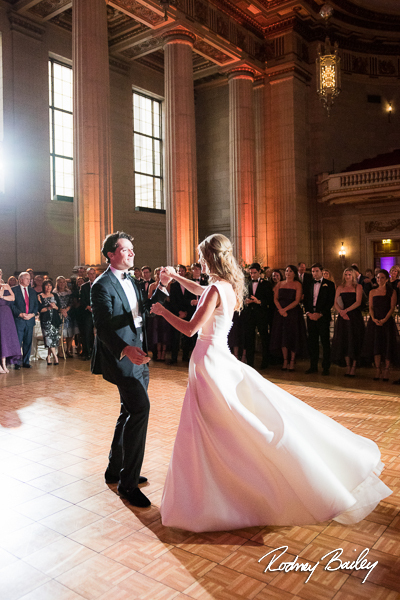 Just like Erin and Alex’s flawless taste, their wedding day was designed with flawless style. 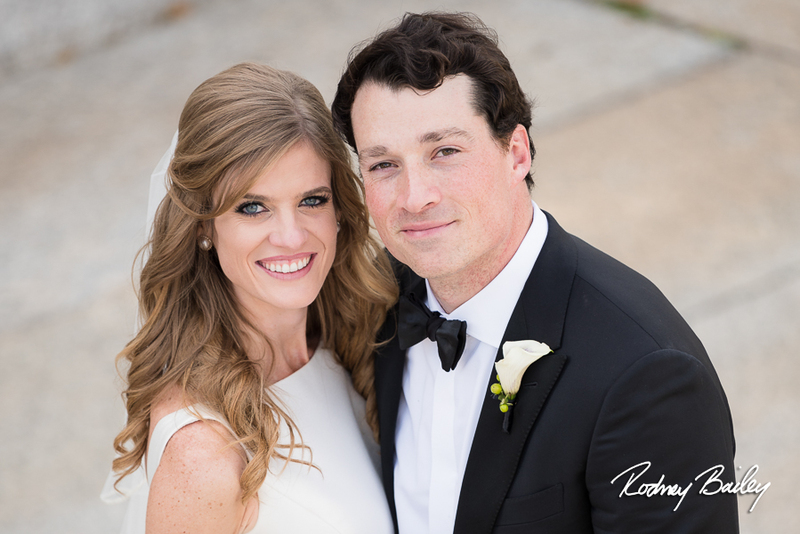 What a breathtaking day for a spectacular couple – congratulations Erin and Alex! We wish you both the very best!